As a business, you would need to be highly productive to succeed in Singapore’s competitive environment. Time is money and the less time spent on a task means you can do more work with less employees. The business makes more money and every employee gets paid more. This is a win-win situation that leaves everyone happy. The actual situation is slightly different. Currently, income is increasing faster than productivity, which is a source of worry for both sides over its long term sustainability. 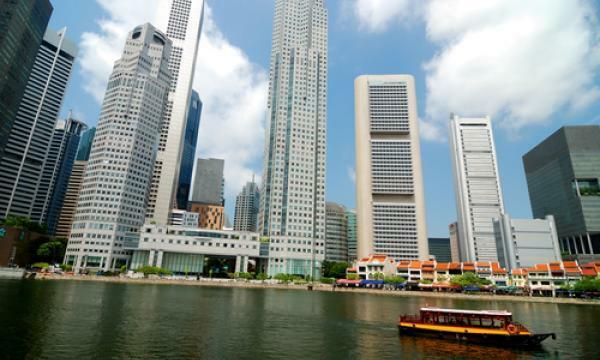 For over 30 years, the Singapore government has been encouraging companies to improve their productivity. In this article, we will introduce some innovative productivity tools that had emerged recently. The construction industry is notorious for its over-dependence on cheap labour and low productivity growth. Productivity actually declined by 1.1% in 2016 compared to 2015. The slow growth coupled with the tightening of construction worker supply means the construction industry is under pressure to improve productivity. One of the most exciting recent virtual reality (VR) technologies would be Virtual Design and Construction (VDC). Instead of a staid blueprint, VDC provides a full dress rehearsal for architects, engineers, construction managers, owners, regulators, and other stakeholders to provide inputs before the project is constructed. VDC had been used in Singapore to construct mega projects such as Changi General Hospital Medical Centre and Northpoint City. VDC allows all parties to be on the same page which reduces rework by 50% to 90% and increases productivity by 4% to 28%. Property owners would spend less time on construction which reduces labour and financing cost. All these would lead to more affordable office spaces and lower business cost in Singapore. So how expensive is VDC? Well, it depends your choice. Sketchup Pro cost US$695 per edition while the more established AutoCAD Revit will cost you US$2,038.35/year. The $450 million Construction Productivity and Capability Fund (CPCF) by the Building and Construction Authority (BCA) had benefited 9,000 firms and 90% of them are SMEs. 70% of the cost or up to $30,000 is absorbed by BCA so AutoCAD will cost just S$838/year while Sketchup would cost S$286. If you are a restaurant owner, one of the main challenges would be to create new recipes to entice diners to come back for more. There are 7 steps needed to create a new and proper food recipe. It takes an expert dish designer 80 to 90 hours to create a new dish and they are expensive. What if I say you can create a new dish in 5 minutes with improved concentration and win over new diners? The 5 minutes is only needed for you to choose your desired style or occasion for the new dish to find the perfect new recipe. You can also create a new dish from your favourite ingredient and wine. Chef Watson is powered by artificial intelligence that can suggest thousands of dishes within seconds as you choose them. It is powered by the same technology that triumphed over chess champions. And best of all, it is free! There will be times where you can’t be in the office. For instance, you might be on a business trip overseas when your colleagues needs to consult you on some detailed work. While you can meet over Skype, you can have more effective communications with a tele presence robot that allows you to see your co-workers’ screens and facial expressions. Such robots are also used in Singapore by 3E Accounting. According to a TodayOnline interview with their CEO Mr. Lawrence Chai, the robot increased their productivity and facilitated their family-friendly culture with flexible work arrangement. Average revenue per employee increased from $92,037 to $135,076 per year and productivity improved from 41.96% to 46.76%. This robot cost $7,000 and it is claimable under the Productivity and Innovation Credit (PIC) scheme. IRAS subsidises up to $100,000 or 40% in cash. $4,200 is a small price to pay for the productivity improvement, and is an amount within the reach of most SMEs. I hope that these three unconventional methods of improving productivity would be useful in your companies’ drive to prosper in Singapore. Higher productivity is a competitive edge needed by companies to stand out in a crowded field, regardless of whether you are a startup or an SME. These ideas might not be exactly suited for your particular case, but they should give you an idea of the possibilities out there. Good luck!